It is here! Spring has finally arrived and we are welcoming this season with arms wide open. With buds now popping up on the trees around us – we feel this is the perfect time of year to refresh, restore and re-charge. The products and recipes found below are a few of our absolute favorites to get you into the mood of change and growth. 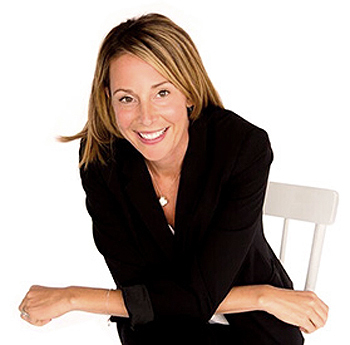 From nutrient dense smoothies to my grain free bakery recipes – you will love it all! While I love baked goods, I am gluten sensitive and my daughter is celiac. So... what is a cupcake/brownie loving girl to do? 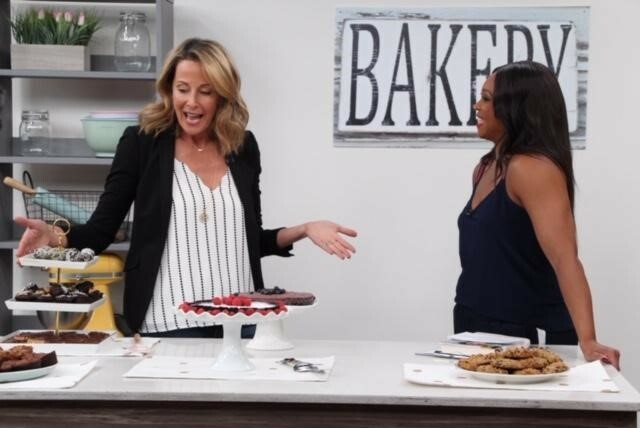 Well... make a grain free bakery of course! Click here to find out more! 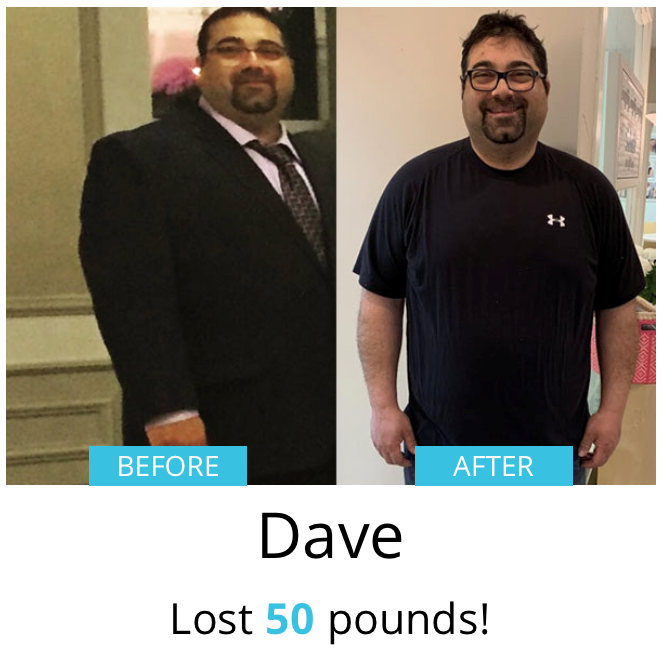 A huge congratulations to a few of our recent clients — Dave who lost 50 pounds and Diana who lost 51 pounds at Shulman Weight Loss clinics. Both have transformed their health and vitality in a dramatic way! If you are ready to lose weight for the summer, all you have to do is book in at 1 of our 3 locations for a free weight loss assessment. 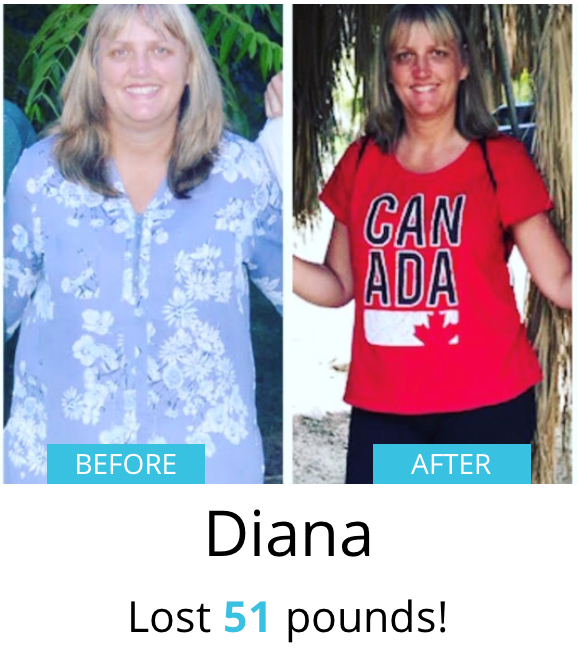 As Ontario’s #1 weight loss clinics, we are dedicated to helping you lose the weight naturally... for life. I admit it – I am a bit of a skin care junkie! 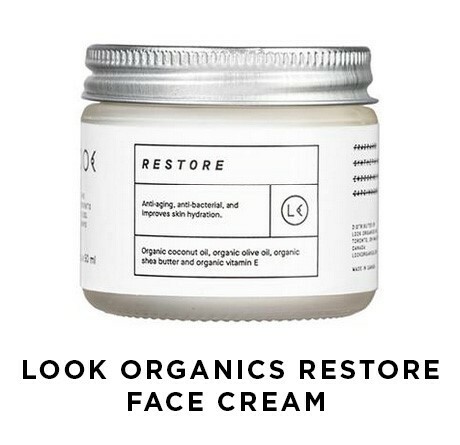 Refresh your skin routine with this natural face cream by LOOK organics. This anti-aging and anti-bacterial face cream is made with only 4 simple and organic ingredients – coconut oil, olive oil, shea butter and vitamin E. Free of all fragrances and synthetic colors, your skin will truly thank you! Restore can also be used as a makeup remover and hand cream. 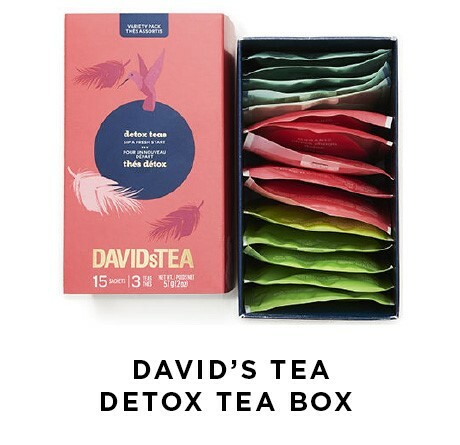 Spring into the season with a light detox by David’s Tea. Each box comes with 15 convenient sachets and three different detox tea flavours. The lemon cayenne cleanse is a great way to kick start your system first thing in the morning and is made with natural ingredients including white tea, apple, lime, carrot, rosehip, lemon, chili peppers and sunflower blossoms. The box also includes a rejuvenating organic detox tea that is made with organic, fair trade certified rooibos, sencha green tea, lemongrass, ginger, juniper berries, and ginkgo. Lastly, the kit includes a sweeter choco chaga detox tea, which is made with organic cocoa beans, black tea, cocoa husk, roasted chicory root, carob, and chaga. Check out their website to learn more at www.davidstea.com. Aloe vera, also known as the “first aid plant”, has so many wonderful uses. It is a great way to help heal rashes, burns, and cuts and can be used for irritating heartburn. Now, you can easily grow an aloe plant right at home! Simply remove the lid, add water and place cup in a bright and warm place. 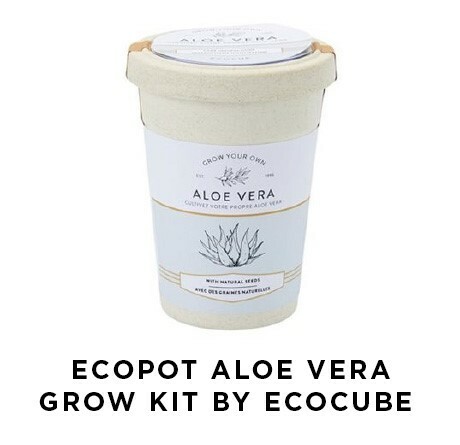 In about 14-20 days, the aloe vera will start to grow – just like that! Introducing the perfect combination of two nutritious super foods that we all know and love – matcha and collagen. 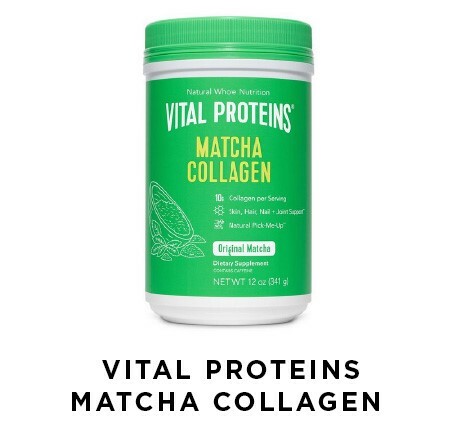 Vital proteins matcha collagen is sourced from high-quality Japanese matcha green tea and grass-fed, pasture-raised bovine hide to ensure top quality and maximum nutritional benefits. The collagen is easily digested and absorbed by the body and helps to improve hair, skin, nails, and joints. The matcha powder is rich in antioxidants and contains 137 times the amount of antioxidants of other green teas. Made with simple ingredients, including collagen, matcha, and coconut water powder. Simply dissolve into an 8 oz. 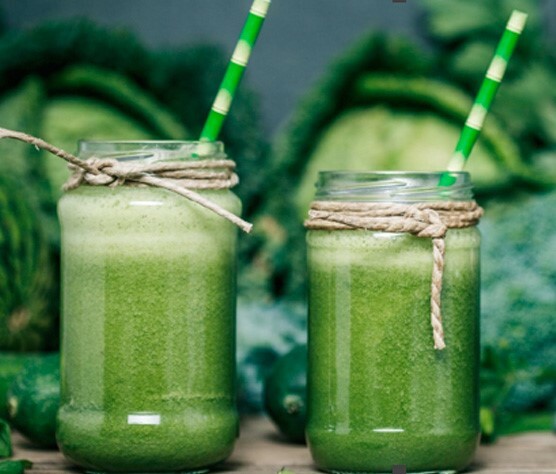 glass of water, or nut milk or add into a smoothie as the perfect nutrient booster. Also available in convenient stick packs to take with you on the go. Add eggs into pot with water and bring to a boil. Boil for 10 minutes. Run eggs under cold water. Peel and dice the boiled eggs and place in a medium bowl. Add the avocado to the eggs and stir. Add the lemon, onion, sea salt, and pepper. Stir well to combine. Add all ingredients into blender and blend on high until combined and smooth. Soak lentils in cold water for 30 minutes. Rinse well. In a large saucepan, add the oil, onion and garlic and cook for 5-7 minutes over medium heat. Add the vegetable broth, rinsed lentils, sweet potato, carrots, sea salt and parsley. Stir well to combine. Bring soup to a boil over high heat and mix well. Reduce heat and simmer on low for 30 minutes, covered. Stir every 5-10 minutes. 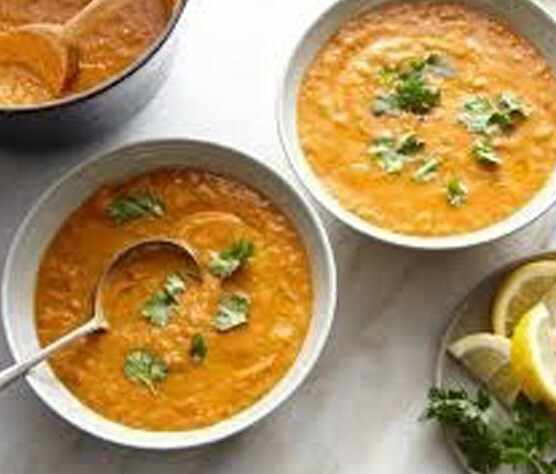 Allow soup to cool slightly and enjoy! In a small bowl, add the cayenne pepper, paprika, sea salt, thyme, basil, oregano, pepper, onion powder, and garlic powder. Mix together. Heat a cast iron pan over high heat until you can see smoke. 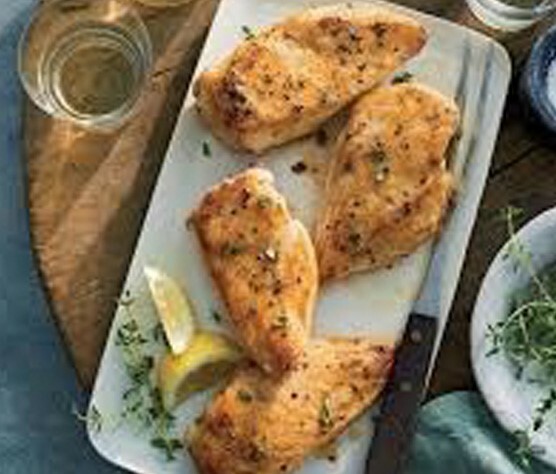 Place chicken on large plate and coat with olive oil. Season with half the mixture and flip chicken over. Season other side with the remaining half of the seasoning. Add chicken onto cast iron pan for 1 minute and flip. Sear other side of chicken for a minute and place cast iron into oven. Cook for 18-20 minutes, until chicken is cooked through and no longer pink. Enjoy with a salad and greens! I’ve Been Thinking... is a powerful book of reflections for those seeking wisdom, guidance, encouragement, and inspiration on the road to a meaningful life. 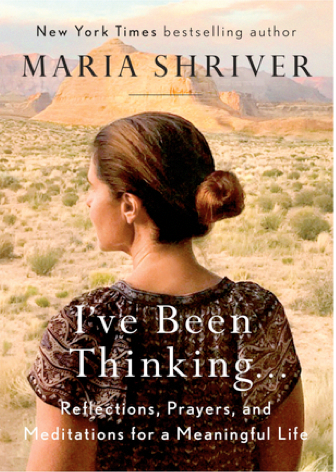 In this moving and powerful book, Maria Shriver shares inspiring quotes, prayers, and reflections designed to get readers thinking, get them feeling, get them laughing, and help them in their journey to what she calls The Open Field — a place of acceptance, purpose, and passion — a place of joy. I've Been Thinking... is ideal for anyone at any point in their life. Whether you feel like you've got it all together or like it's all falling apart--whether you're taking stock of your life or simply looking to recharge, this is the book you will turn to again and again. Spend the weekend reading it cover to cover, or keep it on your nightstand to flip to the chapter you need most. 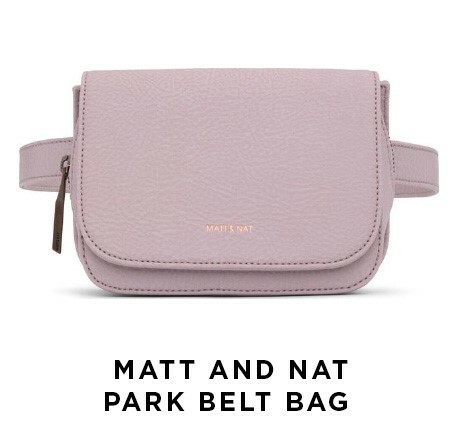 Like talking with a close friend, it's the perfect daily companion — an exceptional gift for someone looking to move forward in life with hope and grace. Available where books are sold. 5 NUTRITIOUS AND DELICIOUS FOODS TO TRY THIS SPRING! 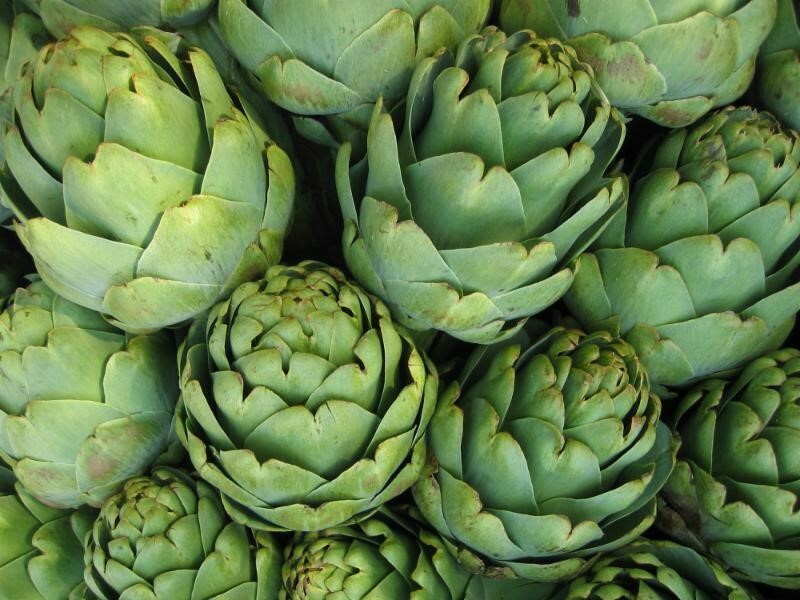 Artichokes –Rich in a wide variety of nutrients, including B vitamins and folic acid, artichokes are the perfect vegetable to roast as a side dish or to throw into your spring salads. Mint –This delicious herb is great for indigestion and helps sooth an upset stomach. Make a refreshing mint tea right at home – just add some fresh mint leaves into boiling water and steep for 5 minutes! You can also throw some fresh mint leaves into a spring smoothie to boost nutrients! Arugula – Detoxify and hydrate with these tasty lettuce leaves. 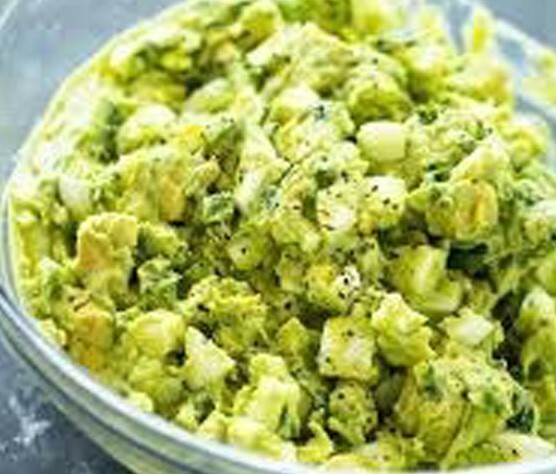 The perfect base for any spring green salad! Lemon –If you are not already using lemon as part of your daily routine – now is the perfect opportunity to start! Begin your day with a glass of fresh lemon water to boost your metabolism and promote detoxification. Beets –The bright colour of these refreshing root veggies tells you everything you need to know – they are chock full of so many wonderful nutrients, including folate, fiber and vitamin C. A great way to brighten up any salad or smoothie.